It's always fun when I stumble across a new sliver of writing by Kirk Hastings, and this missive posted to Why?Outreach does not disappoint. The essay starts off with an image. It's a bold statement to say the least. As intrigued as I was, my past experiences with Kirk Hastings had not left me optimistic. I decided to set aside my prejudices and let Kirk's own words speak for him. 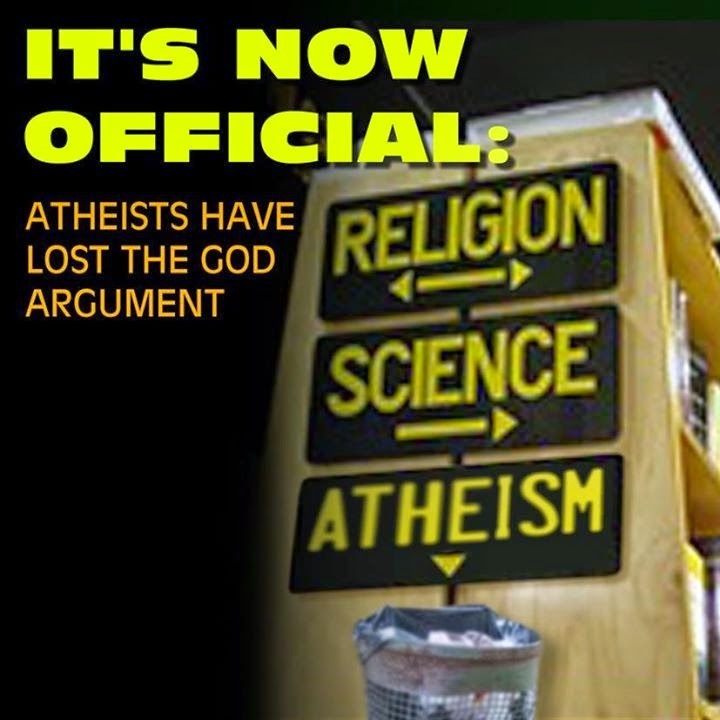 The proof is all over the internet and Facebook these days -- atheists have officially lost the argument as far as Christianity, the Bible, theism, and God is concerned. Woah, woah, woah, flag on the play. Is this seriously going to be an essay claiming that the tone of Facebook pages Kirk Hastings has happened to read somehow resolves the question of the existence of God? Now, I'll grant that Facebook discussion threads are not quite the cesspool of Youtube comment threads or the Eldridge horror of Yahoo Answers, but they're hardly indicative of the status of reasoned debate or evidence. Facebook pages are very good at creating echo chambers for all groups, and those chambers tend to attract like minded people. You can pick any topic you want and find a Facebook group that will represent whatever aspect of that group you want to emphasize. The Why?Outreach page itself is an excellent example of such an echo chamber. You rarely find dissenting opinions expressed in the comments on any of their pages. Even the notorious Birther site World Net Daily allows critical comments in their discussion threads, but not why?Outreach. I know people who consider it to be a game to post a respectful, thoughtful counter-argument and see how long it takes their comment to be deleted and their account banned from the group. It's a generalized insult that quite literally ignores the entirety of writing by atheists. It's a slander that glibly and smugly ignores the existence of a debate that has raged in one form or another since the first cave man called out to the heavens during a storm. So far, the only "evidence" Kirk has offered of atheists having lost any kind of debate is the fact that Kirk asserts that he found a few jerks who happen to be atheists. You might as well argue that the existence of the Westboro Baptist Church and "Rev" James Manning prove Christians have lost the argument in favor of God. 5) Presenting totally shallow, unsubstantiated, evidence-poor "counter-arguments" that they insist are based on "science" and "reason", but are instead based on nothing more than emotional bias, scientism, rational contradictions (that for the most part they can not -- or will not -- see), secularistic propaganda, narrow-minded dogmatic atheist ideology, and outright lies. Here we see Kirk Hastings is still very, very butthurt over how easily his "science" arguments were eviscerated by the multi-episode irreligiosophy review of his magnum opus "What is Truth?" So far Kirk's argument that Atheists have been proven wrong boil down to "Some of them are mean and I disagree with them about science!" Homeopath John Benneth used the same tactics to defend his preferred mythology from scientific critics when he called Homeopathy the Jew of NAZI medicine. Atheists stubbornly insist that they are right about everything and wrong about nothing, and that theists are wrong about everything and right about nothing. This is the tactic of one who is intellectually desperate: simply ignore everything that your opponents say, and in response keep repeating the same irrational atheistic mantras over and over again (that unfortunately have been thoroughly disproved by science, reason, and common sense). And when called out on these dishonest, disingenuous tactics, turn around and insist that it is the THEISTS who are actually doing this! I've already written a good deal about how Kirk ignores criticism. I'm not going to retread that ground again. The bottom line is Kirk Hastings Responds to criticism in the exactly the way he describes above. This is well documented and examples are easy to find. That said, I will point out that Kirk Hastings is flat out lying when he claims atheists insist they're never wrong. Most the atheists I know are also fans of science and members of the skeptics movement. The essence of science is falsifiability. Science progresses in part by proving past ideas wrong. When Ken Ham debated Bill Nye, they were both asked what it would take to change their minds. I think their respective responses demonstrate the falsehood of Kirk's accusation very succinctly. 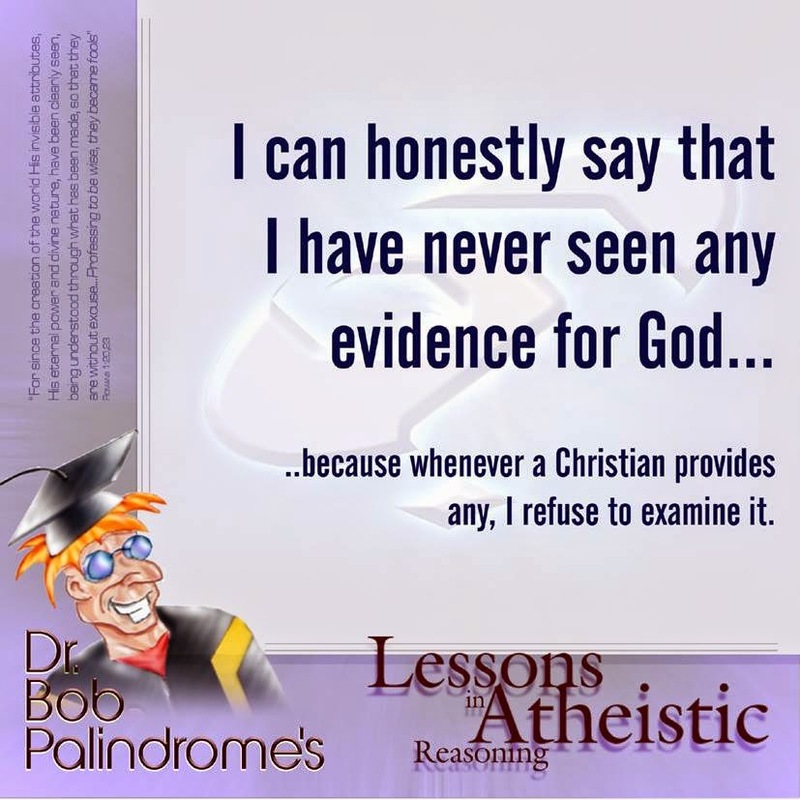 Another favorite trick of atheists nowadays is, if you have published a book on theism, get all your atheist buddies to write in dozens of fake "reviews" of the book (even if you haven't read it!) so as to lower its rating on Amazon.com. Never mind that most of these "reviews" consist of little more than personal put-downs of the author (and theists in general), rather than any real critique of the book's content. And when you DO make some attempt at a critique of the book's content, then make sure you use plenty of generalized (so-called) "counter" arguments, such as "You're wrong! ", "You're stupid! ", and "You don't know what you're talking about!" I'll admit that some of the reviews of Kirk's "What is Truth?" meet that criteria, but reviews such as There are intelligent defenses of Christianity. This is not one of them By Charles Morrison addressed specific issues that were found by reading the actual book. I recommend following that link and reading not only Chuck's initial review, but how Kirk Hastings replied to the criticism. Judge for yourself who is behaving in the manner Kirk Hastings describes. But the real proof of the utter frustration and childish desperation of the atheist camp today is their latest tactic, which is to create false Facebook pages with the most vile, obscene, and blasphemous names that they can think of (with the complete cooperation of the equally dogmatic atheists who run Facebook), and then troll Facebook "liking" everything on theist pages, so that the crude Facebook names will show up everywhere. This kind of thing is the last-ditch tactic of the desperate, the totally frustrated, and the defeated. 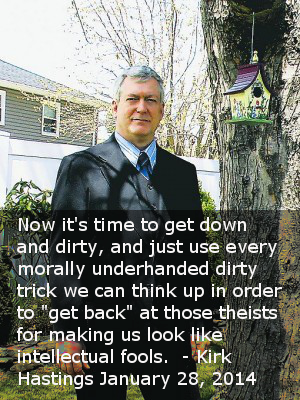 By doing this kind of thing, the atheists on Facebook have conceded that the intellectual argument for atheism is over -- now it's time to get down and dirty, and just use every morally underhanded dirty trick we can think up in order to "get back" at those theists for making us look like intellectual fools. Here we see a legitimate complaint about juvenile behavior someone actually engaged in. Specifically someone created a Facebook account with a name similar to "Mary Should've Aborted Jesus" and started clicking the "Like" button on a bunch of pages and groups Kirk Hastings and his friends maintained. This means the name of the account showed up in the list of people who "Liked" the page. There were one or two people who did something similar. In Kirk's text above however, this handful of people somehow came to represent the entirety of the atheist community. Kirk also ignores the role he played in encouraging this behavior with his endless web comics attacking others, including the infamous "Fat Noah" incident, where Kirk Hastings used plagiarized and edited Fat Albert panels in an attempt to blackmail Noah Miller. When you behave in a juvenile and petulant manner, you attract similar responses. Kirk's insistence that this deliberate trolling somehow constitutes a universal concession that the "intellectual argument for atheism is over" is an absurd and unsupported extrapolation. I could just as easily claim that his replies to Charles Mason constituted a concession that the intellectual argument for theism is over. The idea that we should treat others the way we want to be treated is mirrored throughout the epistles. The sad irony here is most of the grief Kirk Hastings has gotten online was the result of people responding in kind to his own initial behavior. If he followed the advice of the deity he claims to worship instead of his own childish hatred and anger, the "Mary should have aborted Jesus" account and "Question Kirk Hastings" would never have come into existence. Kirk Hastings is his own worst enemy, the bulk of his misery brought on by worshiping vengeance and anger while playing lip service to worshiping Jesus Christ. Yep, the real argument is over. All that's left now is for the atheists out there to totally come apart at the seams and end up in a rubber room somewhere. To summarize Kirk's argument: He encountered some mean atheists online, projected his own behavior onto them and now concludes that atheists are mentally unsound individuals. He ends with an appeal to visit an apologetic site. Go to www.carm.org for but a small sample of the evidences in support of Judeo-Christianity, otherwise examine the hundreds of articles/videos and mp3 files on this page alone. Sadly, the essay makes it clear he's entirely too hypocritical to review what atheist ACTUALLY have to say. As demonstrated by my earlier replies to Kirk Hastings, he almost never addresses what people actually say or do, just the straw man image he has of them in his head. Overall I found his most recent essay to be a disappointment, even by the usual standards of Mr. Hastings.While I'm accustomed to him making unsupported or poorly supported claims, this time he didn't even bother with a pretense of evidence, he just made one bald assertion after another. Yes, he hinted at a few examples of juvenile behavior he'd encountered, but he dishonestly extrapolated that to everyone who simply believes in one less god than he does. You can't judge all the world's Atheists by the behavior of a few people who annoyed Kirk Hastings any more than you can judge Fred Rogers by the behavior of Fred Phelps. This is a very clever ploy by the Memories Pizza owners. There's a GoFundMe campaign for the pizza place which is fully funded and still collecting money. Given the narrow margins on most restaurants and the pizza shop's location, this campaign is probably going to exceed pizza place's normal annual net by a significant margin. Not too shabby for a time when the owners turn off their phones and stay home for a few days. The pizza place is too far out of the way for there to be any real long-term consequences for their discriminatory stance, but thanks to the ease with which people who hate homosexuals can be fleeced, they're going to walk away from this with more than enough money to ether carry them through any economic hardship or relocate completely. As a bonus, they're now conservative culture war superstars, with all the profit opportunities that offers. Memories Pizza is owned and operated by evil geniuses who saw and opportunity and took it.